With Sugared Saffron there’s no need for to choose between a delicious dessert, and an incredible piece of sugar art. We’re here providing the best of both worlds, serving up delicious cakes that look incredible. Find out more about our baking and the flavours that we offer here. 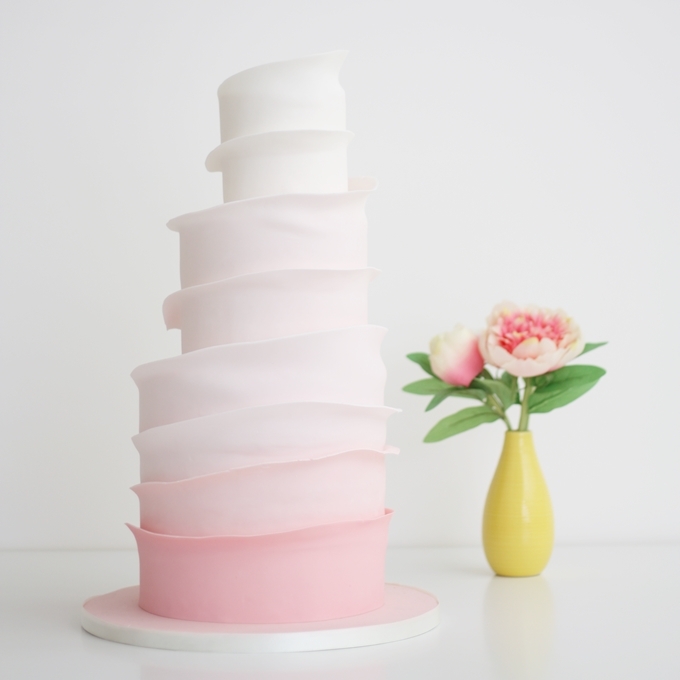 We think that planning your wedding cake should be a fun, personal and tasty time! And it’s a chance to put your stamp on the centrepiece of your reception. Whether you’re inviting 250 friends and extended family, or just 50 of your nearest and dearest, we encourage you to work through your ideas with us, so that we can turn your dreams into sugar. Craftsmanship, quality and service are the bedrock of everything that we do. We effortlessly stay ahead of the trends with our timeless designs and an impressive diverse portfolio. There are no outdated catalogues, and you don’t need to pick from a generic list of budget picks. We pride ourselves on a service that’s tailored to you which is why we only specialise in custom wedding cakes that are made to order. As a small business, we’re only able to take a certain number of commissions meaning that we can provide every couple with custom experience where you feel special at every point. We know how much time, patience and effort it takes to plan a wedding so our priority is to make things as easy as possible to organise your wedding cake with us. If you’ve love our work and think you’d like to create your own Sugared Saffron masterpiece, please fill in our contact form. Visit our cake studio with your partner to finalise the design process whilst enjoying 6 delicious individual flavours in a relaxed atmosphere. There is a charge for this service. Once you’ve ordered your cake with us, we’ll take care of all the logistical details. We have hundreds of wedding cakes under our belt deliver and set up personally so there are no third-party couriers to worry about. need to look any further when I found Sugared Saffron - the cake maker of dreams!